Rain rain go-away! We want a boating day! Many of our local Chesapeake Bay snag-adventurers have experienced nothing but non-stop rain the past month and a half, but clear skies are coming our way! Whether you want to adventure into slightly warmer waters or stay local, our Snag team has been working tirelessly on adding new marinas for you to choose from. Make sure to dive into our website for more information on these fantastic summer vacation marinas-local and abroad alike. This month we have added marinas in New Jersey, Vancouver, Texas, Ohio, Quebec, Maryland, Delaware, Massachusetts, Virginia, New York, and Berry Island in the Bahamas. Check out these new Snag-A-Slip marinas below! As the skies clear up, so do boat slips, so make sure you get a jump on these amazing destinations before the season is over! 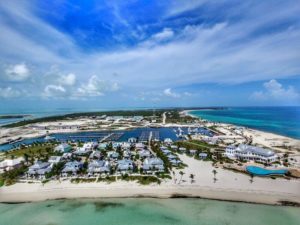 Chub Cay Club Marina is located right at the tip of Berry Island in the Bahamas. This is the perfect location for fisherman, couples, and families alike where everyone can experience the perfect Bahamas vacation. 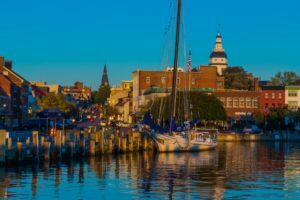 Located at the heart of historic downtown Annapolis, boaters will be right in the middle of all the action in the sailing capital of the United States! 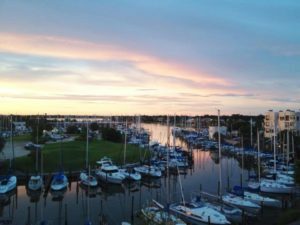 This beautiful marina lets boaters experience all Annapolis has to offer, from the panoramic views, famous destinations such as the Naval Academy, and amazing dining options. 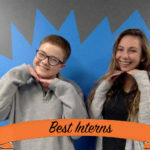 Come enjoy the scenic and relaxing West River in Maryland! From the beautiful, full oak trees shading the marina to the serene nature of the river Chalk Point resides on, this marina is the peak of serenity. Olverson’s Lodge Creek Marina caters to those seeking the relaxation and peace provided from the Yeocomico River off the Potomac and the rural setting of Northern Neck of Virginia. 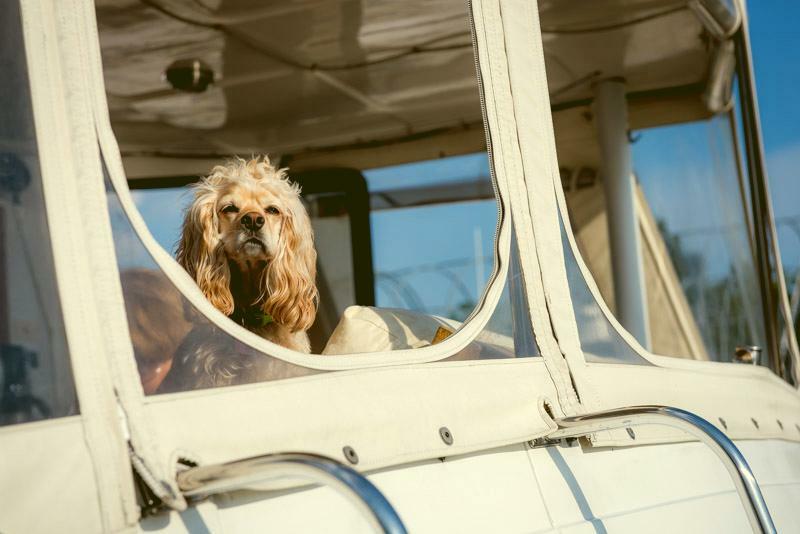 This historic and family operated marina has been delighting customers since 1964, and would love to see you on your journey up or out of the Chesapeake! With over 20 years of wonderful experiences, Lighthouse Pointe Marina aims to enchant! Located at the Heart of Cape May, this marina features a classic restaurant and an outdoor entertainment center that will sure to make your stay amazing. 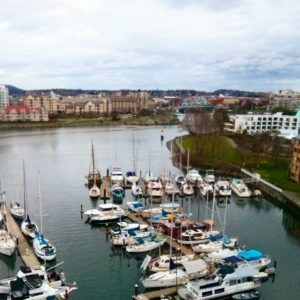 Located right in the heart of Victoria on the Middle Harbour, Coast Victoria Hotel Marina is the perfect place to stay, or to launch off for your next adventure! Enjoy full service amenities and see all the amazing things Vancouver has to offer. For those of you looking for a French immersion without crossing the pond, Québec is the city for you! Located right inside the city, this marina is within walking distance of historic Old Québec City and Rue Saint-Paul along the St. Lawrence River! Maybe even catch sight of a playful Beluga Whale or two while journeying to the docks. Nestled between Houston and Galveston Island, this marina is know as Clear Lake’s “Hidden Gem” and features close proximity to the famous Kemah Boardwalk, local eateries, hotels, RV parks, and more! 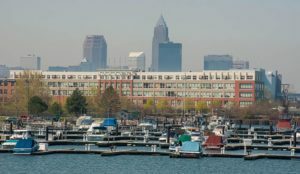 Adjacent to downtown Cleveland and on Lake Erie, this marina is perfect for any traveler! Fisherman can enjoy the new 1,200-foot fishing platform, vacationers can enjoy the lovely views of Lake Erie, and those looking for nightlife can hop over to catch live music at e55 On The Lake Restaurant And Bar! 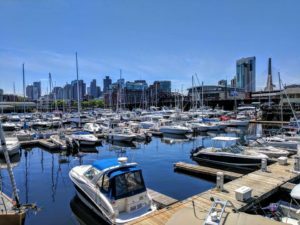 Catch a rich history in downtown Boston-or the fireworks during Fourth of July at this dynamite marina! This history here is immense, ranging from Warren Tavern to Boston’s Freedom Trail. 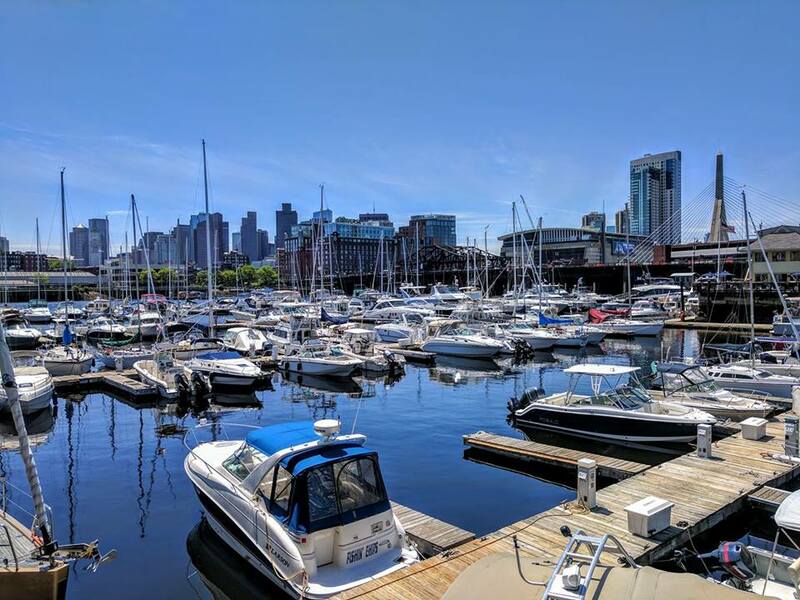 Boston is also home to many premier sports leagues, and the marina is just a short distance from the legendary TD Garden! After 52 years of business, Staten Island Marina knows how to please, and all boaters will have an amazing experience while docked here! Its close proximity to Manhattan and the surrounding Burroughs will amaze and delight all those wishing to vacation in the city that never sleeps. Located off of Little Assawoman Bay, Sharks Cove is an amazing destination for those looking for a relaxing and fun-filled vacation! 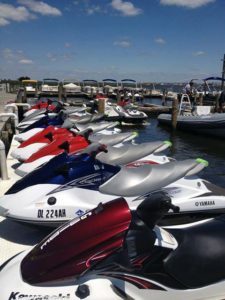 This marina lacks nothing for the ultimate beach vacation, and if you’re looking for even more fun, the marina resides near the Ocean City, Maryland and the Bethany Beach, Delaware boardwalks. We are always adding new marinas in many of the destinations you frequent. Also, stay updated with all things boating by liking our Facebook page or checking us out on Instagram!